It all started so innocently. 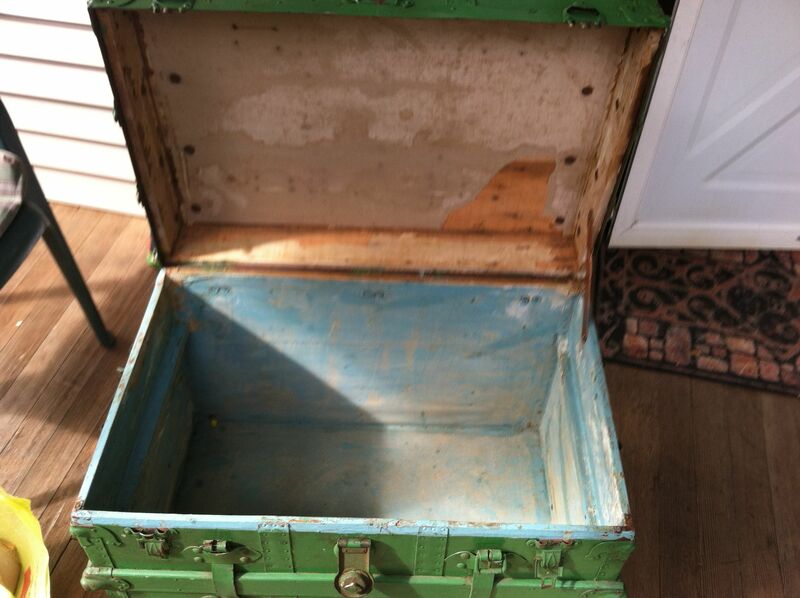 I have always wanted an old-fashioned trunk. 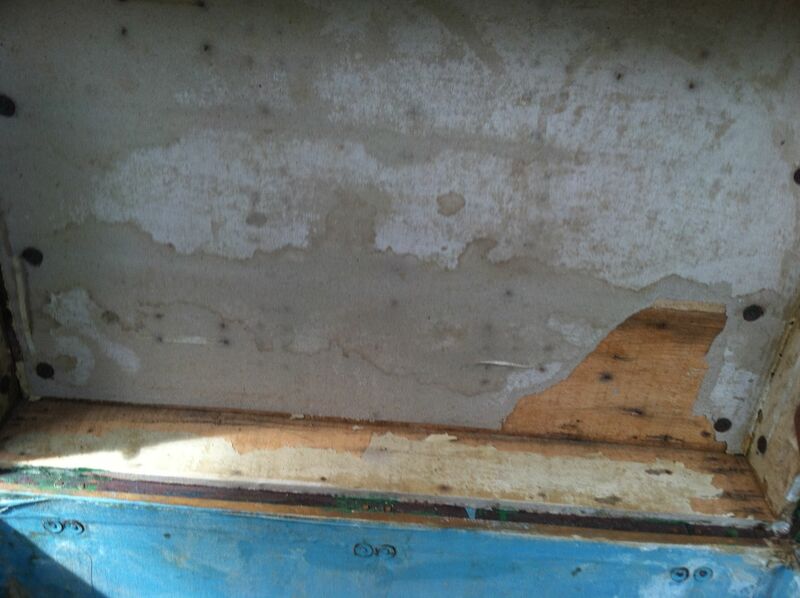 Towards the end of the summer, I passed a garage sale on my way home from work and came across a very beaten up trunk. They were actually selling the stuffed animals inside of it and you got the trunk for free. For $5, I bought my trunk and donated the stuffed animals to charity. The new trunk had seen better days. Someone had painted the outside bright green and then used green and pink shelf paper to line the inside. I got to work scraping and cleaning the trunk as best I could. I peeled away all of the shelf paper. Using sandpaper, a paint scraper, and buffer, I cleaned, peeled, smoothed and scraped away the inside until it was clean enough to look slightly presentable. While cleaning a plan had formulated. I was going to turn this trunk into a TARDIS. 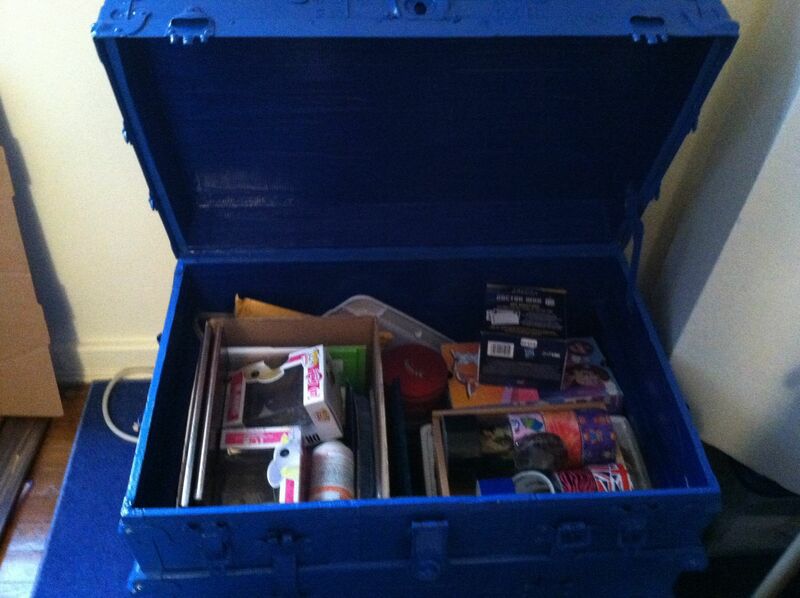 To start changing this trunk into the TARDIS I needed some materials from both a hardware store and the craft store. In a well ventilated area, place your plastic tarp on the ground and slide the trunk on top. Now that we have a base, the hard part starts. I was going to paint each bit but then I got a better idea. At work, I used Rowmark LaserMark Blue/White to laser cut out the door panels. The windows and door signs are designed by me and laser cut from Rowmark Flexicolor White/Black with 3M backing. 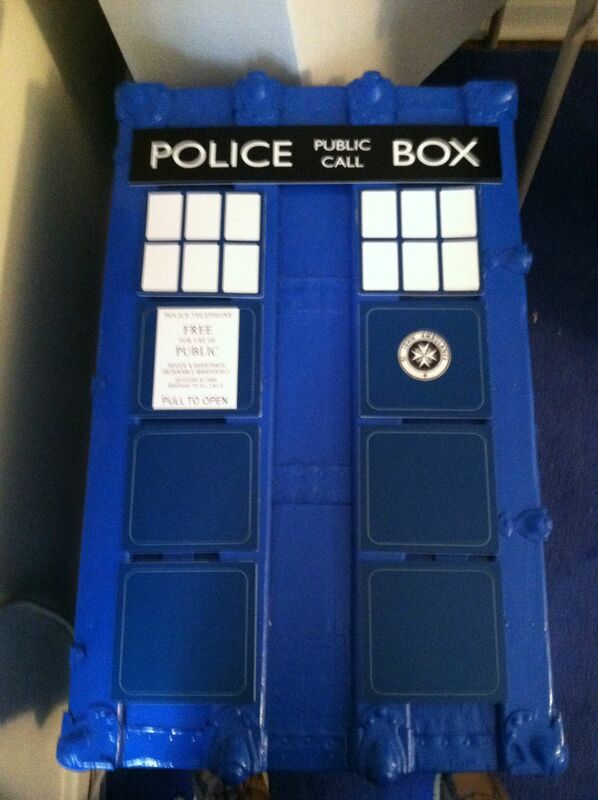 The Police Box sign was also designed by me and laser cut from Rowmark Flexicolor Black/White with 3M backing. Once I put it all together, it looked FANTASTIC. I tried to think about what inspirred the idea of making the trunk into the TARDIS and I think it was a Neatorama article about a TARDIS Bookshelf. 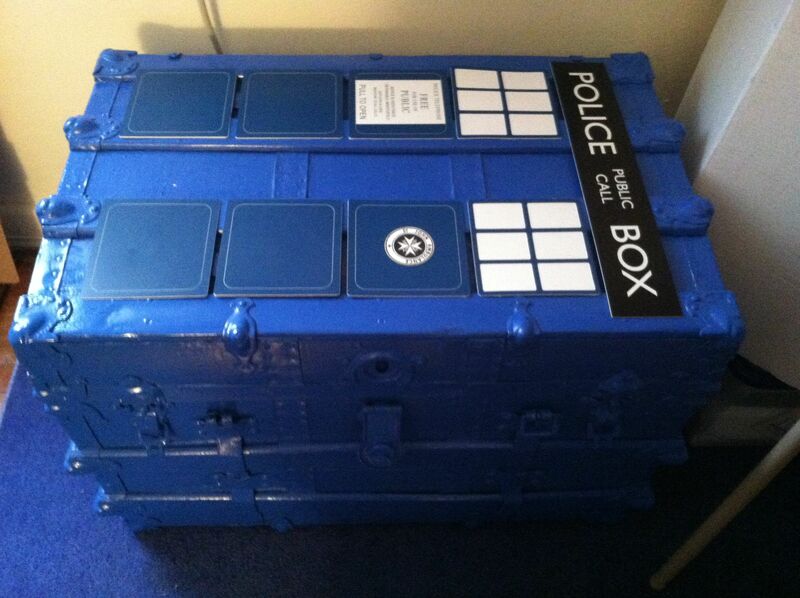 I remember thinking how cool it would be to turn my own furniture into Doctor Who-themed items.